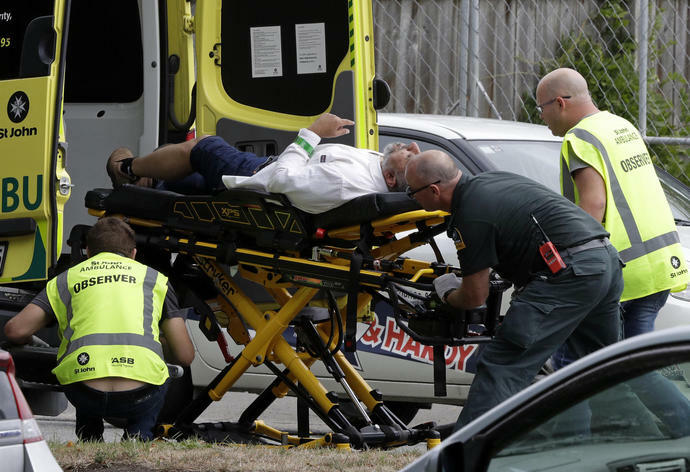 SYDNEY (AP) -- The gunman behind at least one of the mosque shootings in New Zealand that left 49 people dead on Friday tried to make a few things clear in the manifesto he left behind: He is a 28-year-old Australian white nationalist who hates immigrants. He was angry about attacks in Europe that were perpetrated by Muslims. He wanted revenge, and he wanted to create fear. Though he claimed not to covet fame, the gunman - who authorities identified as Brenton Harrison Tarrant - left behind a 74-page document posted on social media under his name in which he said he hoped to survive the attack to better spread his views in the media. The gunman - a licensed gun owner who bought the five guns used in the shootings legally - left a scene of carnage that shocked the nation, and the world. It was, in the words of New Zealand Prime Minister Jacinda Ardern "one of New Zealand's darkest days."